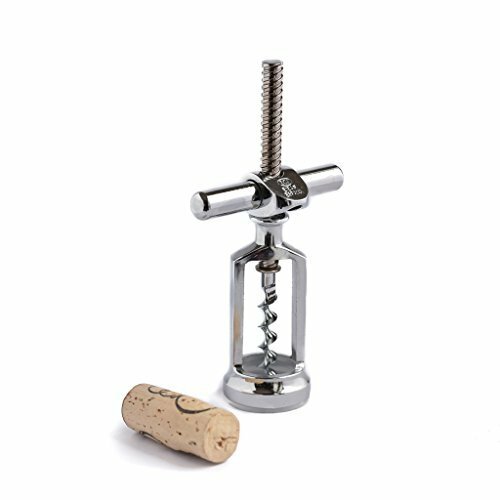 Instructions: flip the top bracket one way and the corkscrew goes into the cork as you turn the handle. Once inserted, flip the bracket and the same turning pulls out the cork. Vintage inspired wine opener, exceptionally designed with professional quality in mind. Ideal for restaurants, bars, cellars, wine tasting rooms and to give a professional touch to home bars. Easy to open wine bottles with efficiency. The metal screw that goes into the cork is a milled spiral, not a twisted wire. Made of stainless steel and zamak. Founded in 1905 in the north of Spain, BOJ manufactures this unique corkscrew in the same workshop for decades. If you have any questions about this product by BOJ, contact us by completing and submitting the form below. If you are looking for a specif part number, please include it with your message.